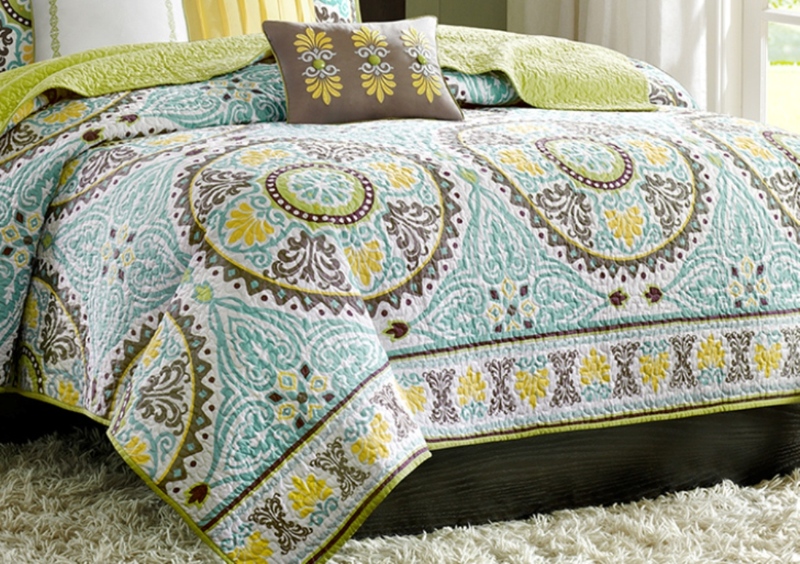 Create a dreamy bedroom with this Indonesian-inspired Samara bedding. 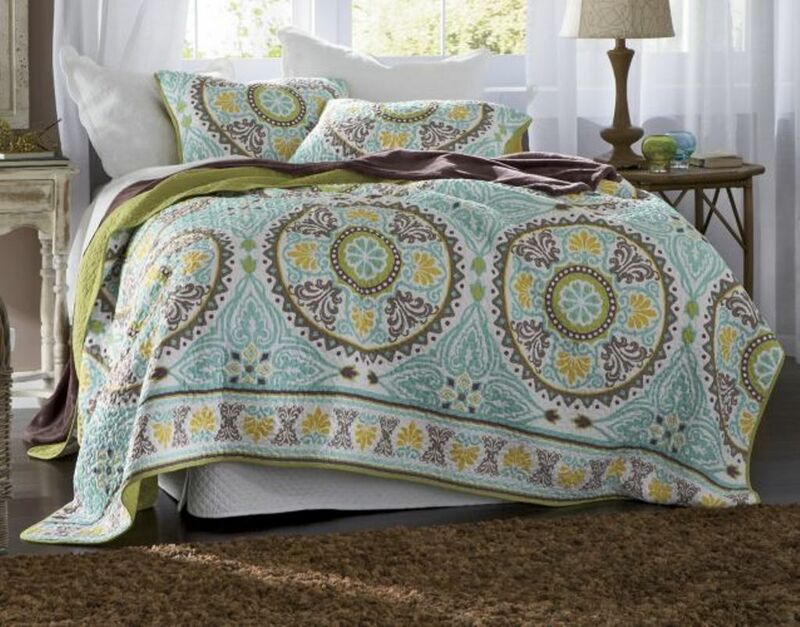 The super-soft microfiber cover and shams feature dusty shades of green, teal, brown and yellow in a beautiful medallion motif. The dusty green golor continues on the reverse and shams in a brushed polyester fabrication. 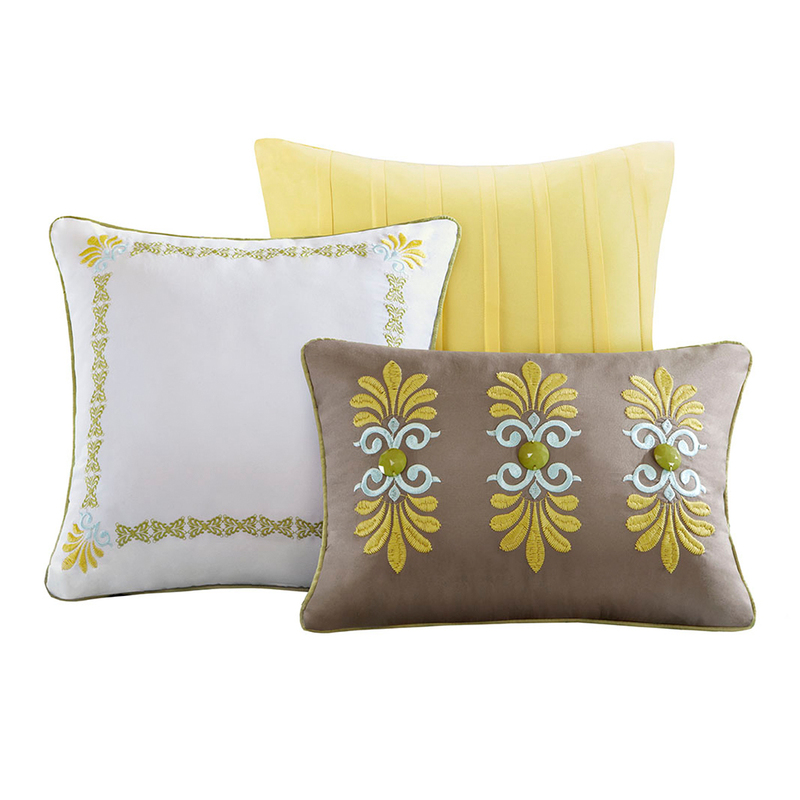 The 3 accent pillows complete the set with exotic beading, pleating and embroidered details.